Google has selected an Equinix data center in El Segundo, California as the cable landing station (CLS) for the new Curie subsea cable system. 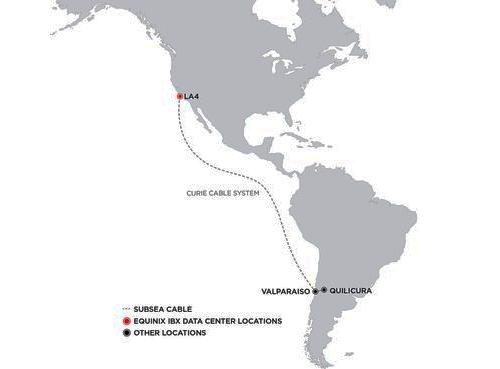 In the U.S., the cable will land directly at the Equinix LA4 International Business Exchange (IBX) data center. The Curie cable is expected to go live in 2019. Equinix said the CLS configuration is ideal for extending the backhaul capacity of a subsea cable system directly to the ecosystems of companies in its high-density IBX data centers. The architecture provides easy access to a dense, rich ecosystem of networks, clouds and IT service providers. Equinix has been selected as an interconnection partner in more than 25 of the current subsea cable projects. "With the significant increase in global data traffic, we see corporations running global businesses demanding access to high-capacity, low-latency networks capable of connecting them to data centers across oceans with stringent levels of reliability. Any user of a subsea cable system that lands inside one of our Equinix global data center termination points has instant, low-latency access to a host of vibrant industry ecosystems inside Equinix, and that's a huge advantage," stated Jim Poole, Vice President, Business Development, Equinix. TE Subcom has been awarded a contract by Alphabet, the parent company of Google, to build a subsea cable from California to Chile. A ready-for-service date is expected in 2019. The Curie Submarine Cable will be a four fiber-pair subsea system spanning over 10,000 km from Los Angeles to Valparaiso. It will include a branching unit for future connectivity to Panama. 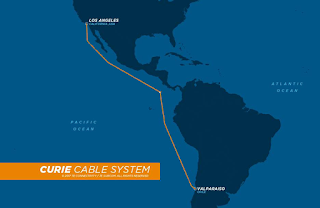 The project is believed to be the first subsea cable to land in Chile in 20 years. “We’re proud to provide comprehensive services to Google on this project. Leveraging existing TE SubCom infrastructure through our SubCom Global Services (SGS) options put us in position to be a true partner to them. Our role in the continued growth of global connectivity and information sharing is a point of substantial pride for the TE SubCom team,” said Sanjay Chowbey, president of TE SubCom.